As if the writing was not already on the wall, there is further evidence that HHS will inevitably initiate bundled payment for select cardiac procedures. Many of us have wondered why it has taken them so long to go this route, given the multiple demonstration projects and the more recent Bundled Payment for Care Improvement Program (BPCI) affecting 1,600 participants that launched for joint replacement this last April. The previous research has shown that bundling prices for select cardiac procedures was do-able, would reduce costs to CMS and would not result in any degradation of access or quality. One can only conclude that various forces, including political and lobbying efforts, kept this from happening – until recently. CFA now believes it to be inevitable, and the timeframe for implementation may be approaching more rapidly than expected. 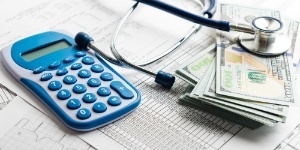 On June 30, a coalition of physicians, health policy experts and interest groups called on HHS to set up more mandatory pilot programs to test out bundled payment models within Medicare. Among the signatories on the letter is former CMS Administrator Don Berwick, MD, Ezekiel J. Emanuel, MD, PhD, chair of the Department of Medical Ethics and Health Policy at the University of Pennsylvania, and Alice Chen, MD, executive director of Doctors for America. While one can speculate that this policy “request” is no more powerful than any other, we are in an election year and healthcare is a significant political issue. If so empowered, could CMS initiate the next round of bundled payments, specific to cardiac procedures, and implement the process by the end of the federal fiscal year (October, 2016)? It is possible (and if not on that timeline, more than likely still within the near future). A recent survey of hospitals conducted by the American Hospital Association concluded that only about 30% of hospitals are making progress in managing the distribution of payment for a bundle to the physicians, hospitals and non-acute facilities that delivered care. What about the other 70%? Just how close, or far away, are they from being adequately prepared? Most Wired: Leveraging data for bundled payments, orthopedics goes first. Hospitals & Health Networks, June 2016, page 16. Designing and implementing bundled pricing isn’t easy, but it will be increasingly necessary as Medicare and private payers continue to move away from fee-for-service reimbursement and the payer marketplace continues to evolve. CFA’s senior consultants have been assisting clients with “packaging” bundles of cardiac and vascular services to market to payers since the 1990’s for specialty contracting opportunities in certain markets. However, the market keeps changing and hospitals’ individual and collective capabilities and challenges have evolved significantly. Information – Information drives the process. Defining costs, setting prices, monitoring quality and managing these elements over time will make or break any bundle. 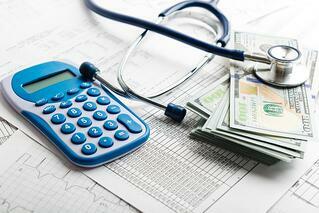 Sophisticated hospital costing systems still lag other industries. Hospitals will need to analyze procedures for bundling potential, allowing for clinical and cost variances; match potential bundles with outcomes; and understand the circumstances that lead to variability in cost, length of stay, resource consumption and other factors including physician practice patterns in order to control the means of production. Care Coordination – With clinical, outcome, financial and other performance standards in place, care coordination across the continuum (potentially involving multiple facilities and organizations) must be paramount. Many hospitals are now selecting home care and post-acute care partners they can work with and incentivize as part of a complete bundle. Coordination could include patient education, scheduling, transition planning, and other activities to insure smooth and faultless transitions. Physician Support – Physician support is critical. Standardization and care coordination processes are driven by physician and other practitioner leadership, planning and active participation. Physicians must provide necessary clinical leadership and actively support efforts to re-engineer care, streamline processes, boost quality outcomes and manage performance metrics, all under an appropriate hospital/physician alignment model that properly incentivizes participants. Administrative Support – Bundles cannot be designed or implemented without a commitment to the concept, the process required and the need to plan and augment existing resources to support the effort. Commitment may require new organizational structures, reporting relationships, care and business philosophies and specialized manpower, as well as technology and infrastructure (including EHR and CVIS). Supply or “Value-Chain” Management – Competing on price and other metrics will force hospitals to re-consider their supply (or “value-chain”) processes to continually tailor supply chain, procurement, and vendor and product selection, as well as refining value analysis processes to increase the cost-quality-value philosophy. Re-Engineered Business Systems – One oft-neglected capability involves the business systems necessary to produce and process appropriate billings for payers who bundle. This is not like generating a bill in the past – it is totally different and requires carefully re-engineering the whole process to reflect patient identification, guaranteed prices per admit, subcontracts to other providers, included physician compensation, etc. Careful planning and resource allocation is required to keep the revenue stream both current and accurate. Bundles vs. Episodes of Care – An episode of care historically stopped at the time of discharge. Now it may involve multiple organizations (think home care and skilled nursing) that will need to be coordinated, contracted, and managed into an overall care process. Relationships will need to be set in place and properly managed to optimize care coordination and patient transition. Constant Performance Improvement and Clinical Innovation – Bundles aren’t static, nor are the on-going feedback on performance against internal or external benchmarks and metrics. Processes need to be in place to constantly monitor all of the care processes and performance indicators and innovation applied when necessary to make periodic adjustments. Systems and personnel must be in place to both monitor and innovate when required. Marketing and Sales – While some market opportunities will come to the hospital, it is incumbent upon the Sales and Marketing team to continually monitor the payer marketplace and develop bundles that are appropriate and will be well received by payers. Based upon an ongoing positive relationship between hospital and payers, marketing efforts need to be continual and founded upon principles of the exchange relationship where each side must be seen to benefit from the other. Some hospitals have significant current capability; however, others are just getting started. It is important to consider the basic prerequisites for creating and managing bundles before competitive and/or time pressures grow too great to ignore. Creating an ill-conceived bundle can result in poor outcomes and economic loss. There is considerable preparation to be done and little time to waste. We can help. The first was the news that Medicare officials are proposing a switch to bundled payments for joint replacement surgeries (see www.LosAngelesTimes.com/business for Saturday, July 11, 2015, and Modern Healthcare July 20, 2015). For the first time, the program would be mandatory and start in 75 markets, affecting 800 hospitals, with a goal of going mandatory nationwide in two years. Hospitals would receive a set bundled payment covering all services – including a 90 day post-hospitalization period. They must either lower their costs to make a profit or accept the losses starting in the second year of the project. Essentially, this is full financial risk for patients that constitute a $7 billion market for Medicare. For years, Medicare and private payers have published studies showing the cost variation between hospitals in similar markets, have put together pilot projects to prove principle and even devised programs called “reference pricing” where hospitals are reimbursed no more than the average charge for the market. This move by Medicare for orthopedics was inevitable given the size of the market and the projected savings of $153 million, and so is the eventual bundling of cardiac surgeries and probably other CV procedures. How many demonstration projects and studies must we see to confirm the inevitability of their next move? We have all participated in enough bundling projects that we know they can work, although not without challenges, some of them considerable. Hasn’t the Dartmouth Atlas of Health Care (http://www.dartmouthatlas.org) been publishing the variations in clinical care and cost of care distributed around the U.S. since the mid 1990’s? Further proof came July 16th with the publication of the BlueCross/BlueShield study on cost variation for PCI in the U.S. (see www. http://www.bcbs.com/healthofamerica/cardiac_cost_variation.pdf). Once again, another study points out the considerable cost variation among hospitals for PCI in major metro areas in the U.S. Fully half the major metro areas (MMA) have variations over 100%. The more facilities in an MMA, the more variability there was. This is the kind of information both Medicare and private payers need to further their goal of shifting aggressively away from fee-for-service reimbursement. The question at hand is not “whether or not” but rather “when” will Medicare dictate mandatory bundling for cardiac services? CFA believes that bundling or some similar risk-based reimbursement model is inevitable in the near term. CFA’s senior consultants began “package pricing” (the term then for today’s “bundling”) in the early 1990’s and recognize the challenges hospitals and health system face in this process. The complexity is now compounded by having to guarantee a price for an episode of care – from pre-hospitalization, through hospitalization, into post-discharge care for a specific period of time. A commitment to bundling care begins with an organizational assessment of the overall capabilities and commitment of the hospital to begin the process required. In the next blog post, CFA will address these capabilities and commitments so that you can evaluate your ability to get started. Continuing our discussion from Part Two of physician/hospital alignment issues in general, and the reemergence of bundled payment initiatives specifically, an important new pilot will soon take place in California. The Integrated Healthcare Association (www.iha.org) is launching a new bundled episode of care pilot. The IHA is a statewide group that promotes quality improvement, accountability, and affordability of healthcare in California and consists of hospitals, hospital systems, managed care organizations, physician groups, vendors/suppliers, and others. They have been doing some interesting work, including sponsoring the largest non-governmental pay-for-performance program in the U.S., with 8 health plans, 229 medical organizations representing 35,000 physicians providing care for 10.5 million members. The pilot will include episode payment for total knee replacement and coronary artery bypass graft (CABG) procedures. Implementation will include mutually agreed-upon episode definitions, analysis of health plan claims data, negotiation of a payment model with implementation of this phase of the pilot expected in August 2010. Later phases of the pilot will expand the number of covered procedures and extend the pilot outside of southern California. Participation in the pilot is voluntary (all have preexisting contractual relationships) and includes: Aetna, Blue Shield of California, CIGNA, HealthNet, Cedars-Sinai Medical Center, Hoag Hospital, UCLA Health System, Saddleback Memorial Medical Center, and Tenet-California. Additionally, several IPAs, and medical groups will participate. This bundled payment pilot points out the critical “three-legged stool” (hospital/physicians/payer) required for success. Hospitals must have willing physician partners to work with and the insurance market must be willing to buy this new product at a negotiated price. Note that since California prohibits the direct employment of physicians, the physician/hospital affiliation model employed under this pilot is the affiliated independent medical group or IPA, which aligns its incentives with the hospital to produce a shared savings. As one can see, experiments with bundled payments for episodes of care continue to flourish. CFA will keep you informed on further developments on hospital/physician alignment and bundled pricing, and would welcome your thoughts and comments as we progress. Continuing the discussion from Part One of physician/hospital alignment and the reemergence of bundled payment initiatives, let’s discuss the impact of health care reform in the area of bundled payment for care. A national pilot program on payment bundling is included in H.R. 3590, the Patient Protection & Affordable Care Act. This pilot program is set to commence in 2012 (no later than January 1, 2013) and run for five years. Participation in such a pilot project is always challenging – it must make both strategic and operational sense to the participant(s). Notice the high level of cooperation, coordination and information required of the participating “entities” especially among hospital and physicians inclusive of both pre-hospitalization, hospitalization and 30-days post-acute care phases! The work that will need to go into the program design on the part of all of the participants, just to be able to file an application, let alone pull off designing and managing such a program at the local level will be extraordinary. Will this pilot program “have legs?” Only time will tell. However, it is vital for hospitals and physicians to recognize that such efforts will only continue and place an increased burden on hospitals to solidify their alignment strategies with select physicians. It is hard to image that success under the requirements of care coordination, bundled payment and pay-for-performance scenarios can be possible without the appropriate physician/hospital alignment strategies in place. CFA will keep you informed on further developments on hospital/physician alignment and bundled pricing, and would welcome your thoughts and comments as we progress. For further information, CFA recommends you review H.R. 3590 and, in particular, the proposed bundled payment pilot program.